Ultra tender, flavor packed slow cooker apricot bourbon beef brisket. Melt in your mouth brisket slathered with a sticky, sweet apricot bourbon glaze. Set it and forget it in the crock pot, then be prepared to fall head over heels in love with this brisket! 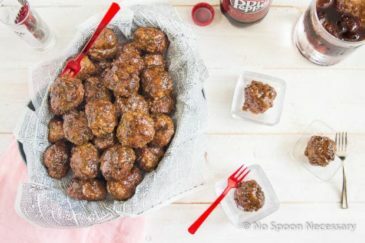 It’s easy to prepare, bursting with flavor and perfect for entertaining or BBQ’s! 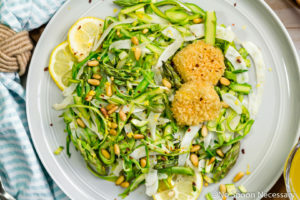 This post was originally published in April 2015. 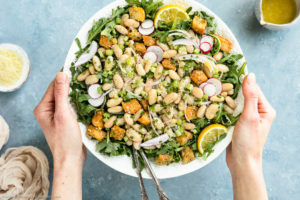 I took new photos, changed the written post below, and tweaked the recipe. Plus, I added a RECIPE VIDEO to show you how easy this is to make! Have you made plans yet?! 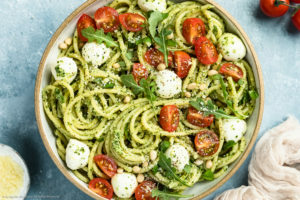 If you are anything like me, you haven’t exactly made concrete plans, but you have thought about what you would like to serve (or eat). If you know me personally, or have followed this blog for any length of time, then you know I do NOT like ham. Maybe it’s the texture, or maybe it’s the fact that it has to be candy coated to be palatable and taste bud appealing, but it’s just not my thing. So with Easter fast approaching, I knew I had to share my family favorite, holiday main that never lets me down. 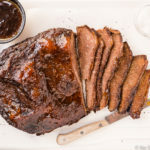 Ultra tender, flavor packed, juicy, melt-in-your-mouth beef brisket rubbed with sweet and savory seasonings, then braised in a delectable mixture of bourbon and beer, and slathered with a sticky, sweet, boozy apricot bourbon glaze. The brisket combined with the caramelized glaze is the perfect symphony of sweet and savory flavors. And, thanks to the trusty crock pot, this beef isn’t just ridiculously easy to prepare, it’s also so unbelievably fork tender it melts in your mouth like butter. In one word, this beef brisket is epic. In more words, this hunk-a-hunk of beefy love is to die for delicious!! Beef brisket is a cut of meat from the lower chest or breast of cattle, directly between the fore shank and the plate. Since the brisket muscles support about 60% of the body weight of cattle, this cut of beef is normally tough and requires low, slow cooking to tenderize the connective tissue. What is beef brisket flat cut? A full beef brisket is trimmed by butchers into two distinct cuts – the flat cut (the first cut) and the point cut (the second cut). 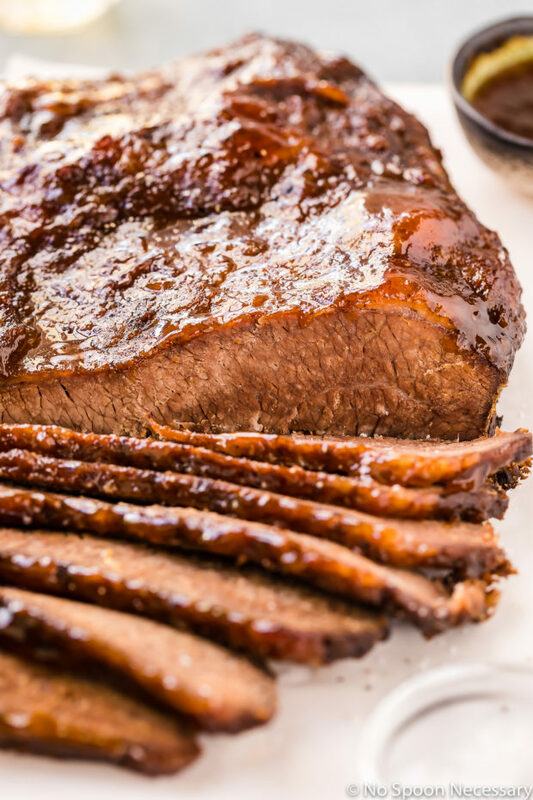 The flat cut, commonly known as the thin cut, is the leaner, thinner cut of brisket. It is also the cut more readily available (and requested) at grocery stores. This recipe for Slow Cooker Apricot Bourbon Beef Brisket utilizes the flat cut. It is important to remember, since the flat cut is leaner, you need to leave a thin layer of fat on one side of the meat surface so it remains moist and tender. Meaning, do NOT trim ALL the fat from your brisket. 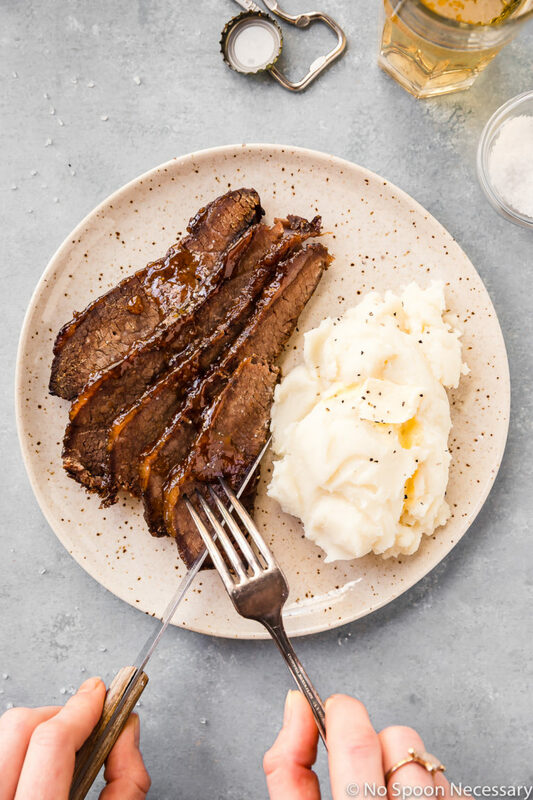 Check out the recipe video of this Slow Cooker Apricot Bourbon Beef Brisket to see how much fat should remain on your cut. How to slice beef brisket? While cooking brisket low and slow (ie. Over low heat for a lengthy amount of time) is important, slicing the cooked brisket AGAINST the grain is also imperative to ensure tender texture. In order to slice brisket against the grain, you simply need to look for the direction of the grain (which way the muscle fibers are running), and then slice across (or against) them, rather than parallel to them. How much beef brisket per person? How much brisket to purchase to feed “x” amount of people is always important when feeding a crowd! The amount of brisket to purchase will depend on a few factors. 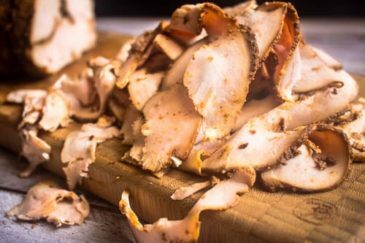 If you are purchasing a trimmed brisket, meaning a brisket that has been removed of excess fat, butchers generally recommend ½ pound per person. However, if you are purchasing a brisket that has NOT been trimmed, you will want to up that amount to ¾ pound per person. Personally, I always err on the side of caution and purchase about ¾ pound trimmed brisket per person or 1 pound untrimmed brisket per person. Leftovers of this Slow Cooker Apricot Bourbon Beef Brisket happen to taste absolutely delicious on their own, but they also make great sandwiches! Trust me, friends, this slow cooker apricot bourbon beef brisket is nothing short of magnificent! 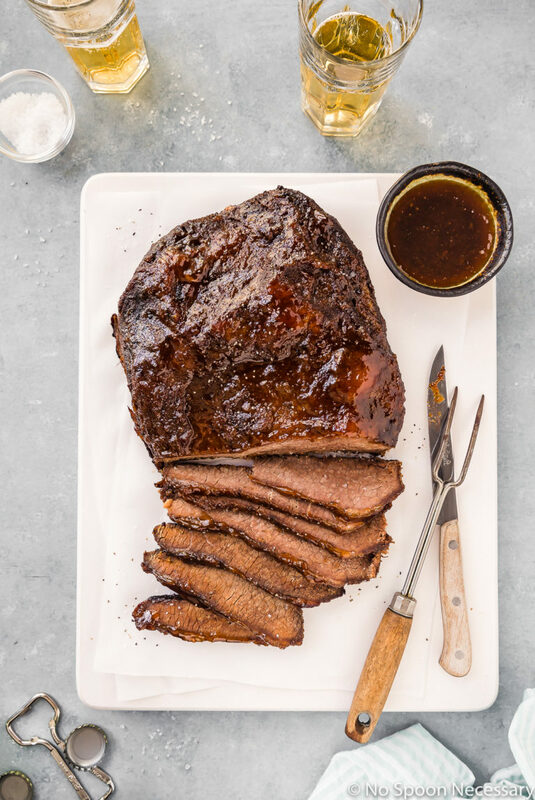 Save the ham for next year and add this brisket to your Easter table! 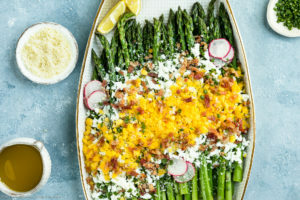 Or, you can just make this for dinner tonight, because it is so worth it! Until next time, cheers – to meaty mains! Ultra tender, flavor packed slow cooker apricot bourbon beef brisket. Melt in your mouth brisket slathered with a sticky, sweet apricot bourbon glaze. Set it and forget it in the crock pot, then be prepared to fall head over heels in love with this brisket! 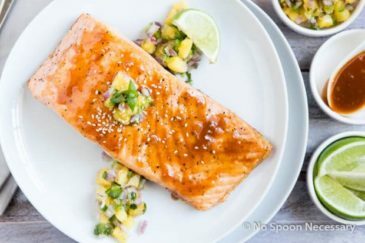 It's easy to prepare, bursting with flavor and perfect for entertaining or summer BBQ's! Make Rub: Combine 1 tablespoon brown sugar with remaining rub ingredients in a small mixing bowl. Set aside. Prepare Brisket: Score the fat on top of the brisket with a paring knife. Massage the rub thoroughly onto ALL sides of the brisket, being sure to rub into the slits on the fat side. OPTIONAL: If time permits, transfer the brisket into a large baking dish, cover with plastic wrap and refrigerate for 30 minutes-24 hours. To braise brisket in the slow cooker: Combine the remaining ¼ cup sugar, garlic, stout, bourbon, Worcestershire, soy sauce, onion powder, celery salt and thyme in a slow cooker. Whisk to combine. Add the rubbed brisket to the slow cooker, fatty side facing up, squishing the brisket in if needed. 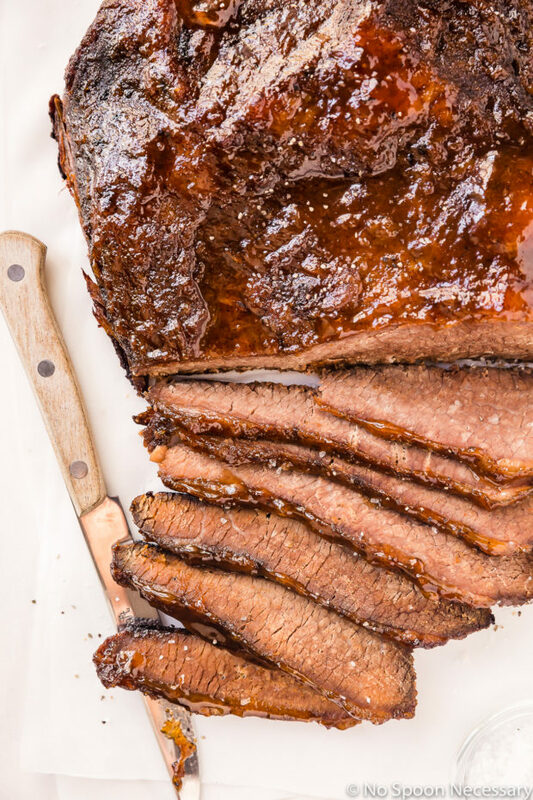 Cover and slow cook until the brisket is very tender to touch but still holds its shape, about 7 ½ -8 ½ hours on LOW or 4-5 hours on HIGH (assuming you used a 3 pound brisket, if you used a 4 pound brisket cook 9 ½ - 10 ½ hours on LOW or 4 ½ - 5 ½ on HIGH). Meanwhile, make the glaze: In a small saucepot, whisk together the preserves, bourbon and soy sauce. Season with salt and pepper. Bring to a simmer over medium-high heat. 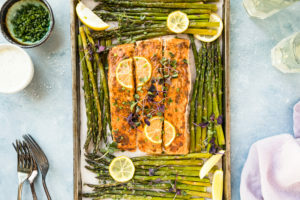 Reduce heat to maintain simmer and cook, stirring frequently, for 10-15 minutes or until reduced to a glaze-like consistency (glaze will continue to thicken as it stands). Remove from heat and adjust for seasoning with salt and pepper. Reserve ¼ cup of the glaze for serving. Set both aside. When brisket is done braising in the slow cooker: Preheat oven to 400 degrees F. Remove brisket from slow cooker and transfer it to a large baking dish. Brush the top of the brisket with the glaze. Transfer to the oven and bake for 10 minutes. 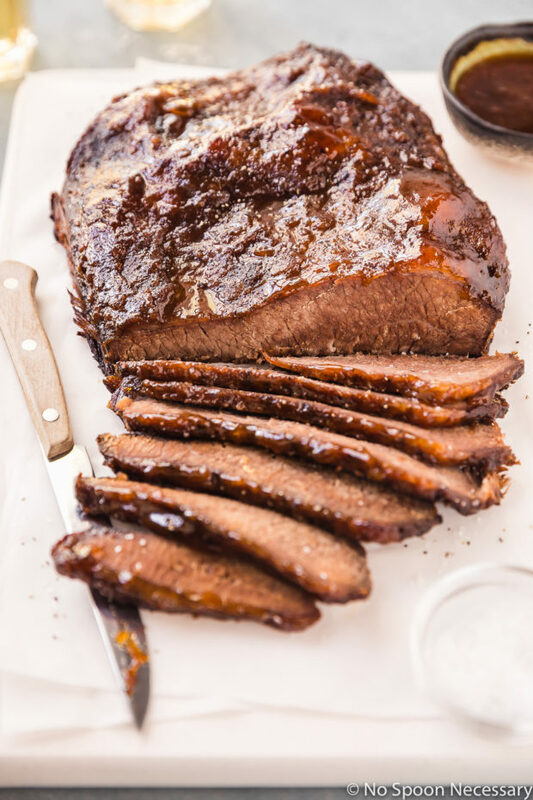 Remove brisket from the oven, brush it again with glaze, and return it to the oven for an additional 5-10 minutes, or until caramelized on top. To serve: Remove brisket from oven and transfer to a cutting board. Allow to rest for 10 minutes before slicing the brisket thinly against the grain. Serve with the reserved glaze on the side. Enjoy! Read the Recipe all the way through first. Optional, but recommended, let the brisket marinate in the rub for at least 30 minutes. 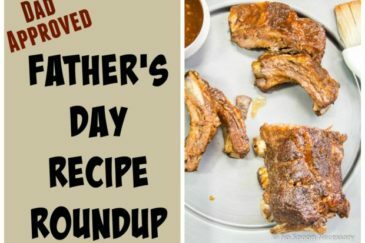 You can finish the brisket in the oven or on the grill! Feeding a crowd? You will need 1/2 pound of TRIMMED brisket per person, or 3/4 pound of UNTRIMMED brisket per person. 1. Follow instructions on recipe through cooking in slow cooker. Strain and tansfer the cooking liquid to a container and store in the refrigerator. 2. Refrigerate the cooked brisket overnight, covered in the refrigerator. 3. When ready to cook, remove the brisket from the refrigerator and allow to come to room temperature for 30 minutes. Preheat oven to 300 degrees F.
4. Pour half of the cooking liquid onto brisket. Cover tightly with aluminum foil and cook until brisket is warmed throughout, about 30 minutes. 5. Continue with recipe as directed, making the glaze, coating the brisket and finishing it in the oven. Thoughts or advice on making this two days ahead of it being served? First of all, thank you so much for the kind comment! As for making this a couple days in advance of serving – This brisket is definitely at its best when made and served immediately. While the leftovers are good, the brisket does tend to dry out in the refrigerator. I, personally, would not advise making this in advance to serve to a crowd. The recipe comes together pretty easily and is mostly hands-off, so hopefully that helps if you are worried about being overwhelmed. Let me know if have any other questions!! Cheers! This recipe was developed and tested using a slow cooker. 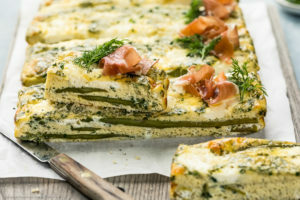 While I am sure it would turn out beautifully in the oven, I have not tested it that way and therefore would not feel comfortable instructing you on how to do so. Best of luck and cheers! Can anybody tell me what they did with the juice from the crock that the meat was in. Does it make a good gravy ?? ?